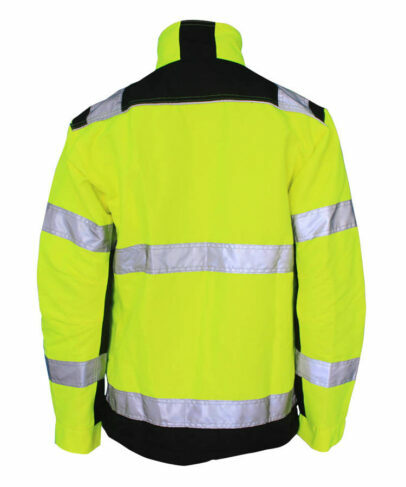 This high-visibility yellow black jacket made of 280gsm 65% polyester 35 cotton high visibility fabric, and can meet EN ISO 20471, ANSI/ISEA 107-2015 and other standards. 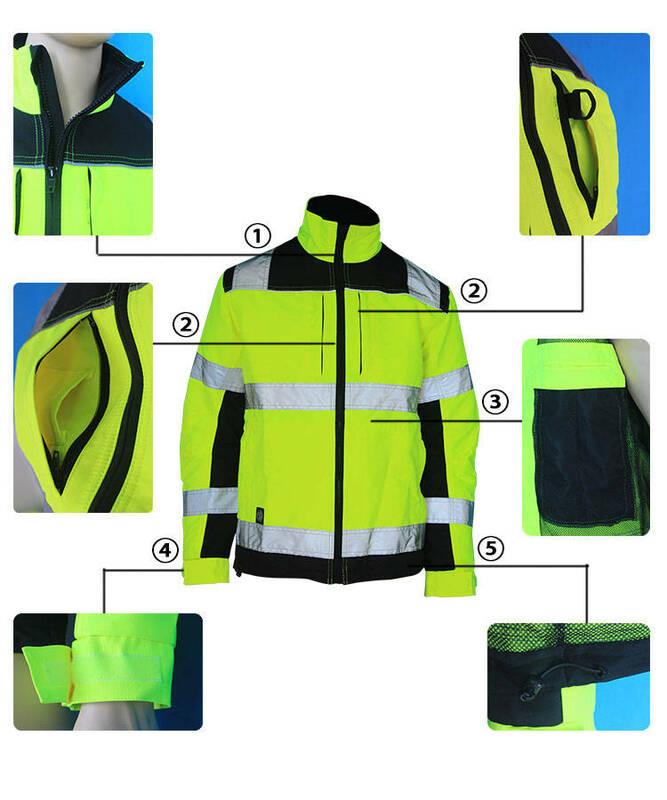 The high-visibility yellow black jacket can make the wearer be identified more easier than the surrounding things in poor light and short distance, thus to ensure the safety of the wearer. 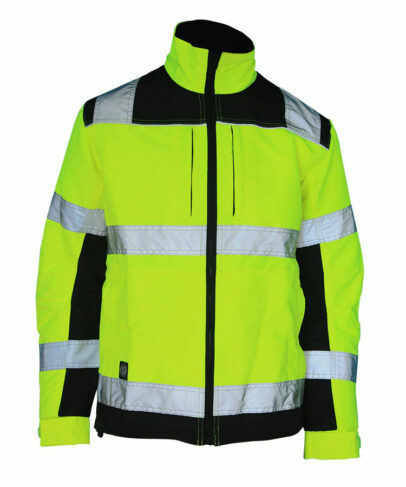 This high-visibility yellow black jacket is highly breathable and that a comfortable temperature is maintained at all times. 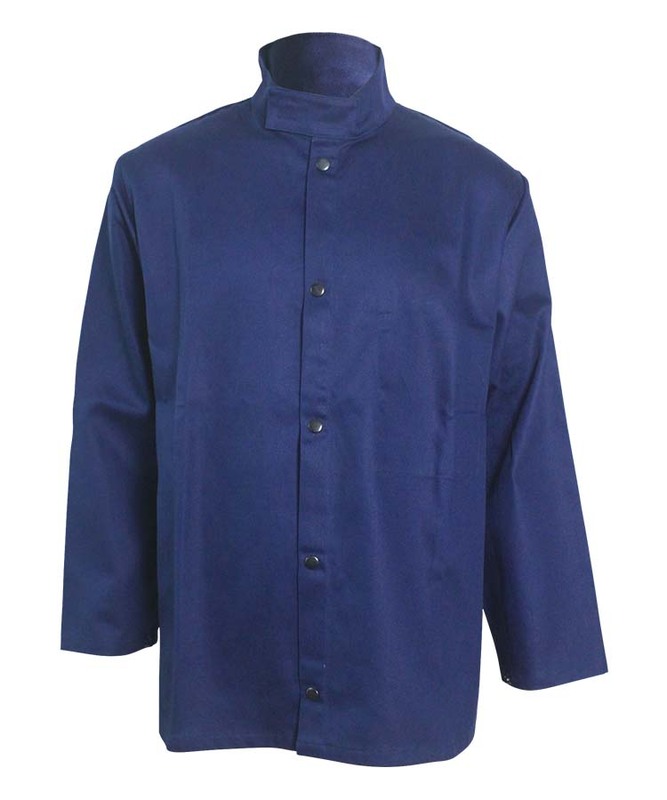 This high-visibility yellow black jacket mostly used for policeman uniform, railway uniform, or produce offshore garment and oil gas. 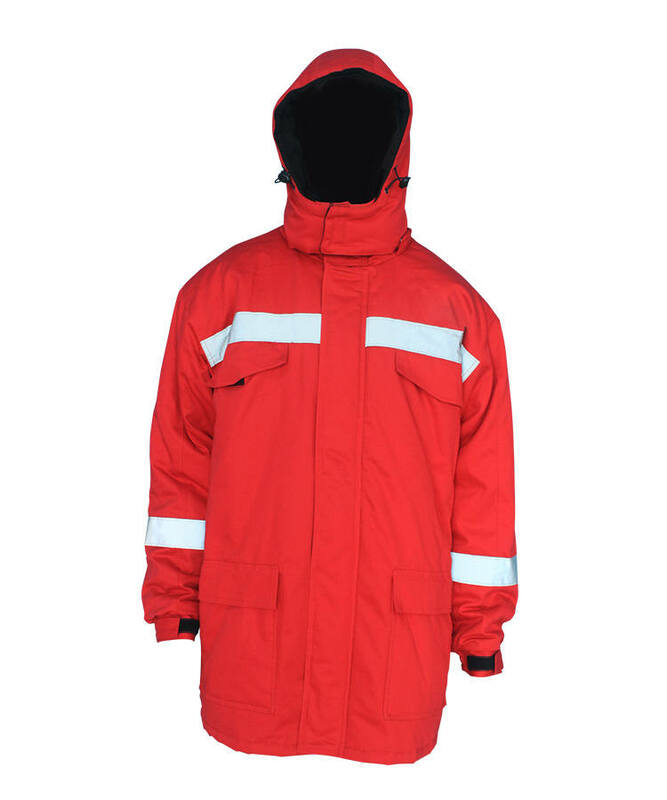 High-visibility yellow stand collar, backside with balck fabric, inside of collar is fleece fabric, warm and comfortable. Vertical zipper pocket in left and right brest, small pocket inside of right pocket, tool loop upside of left pocket. 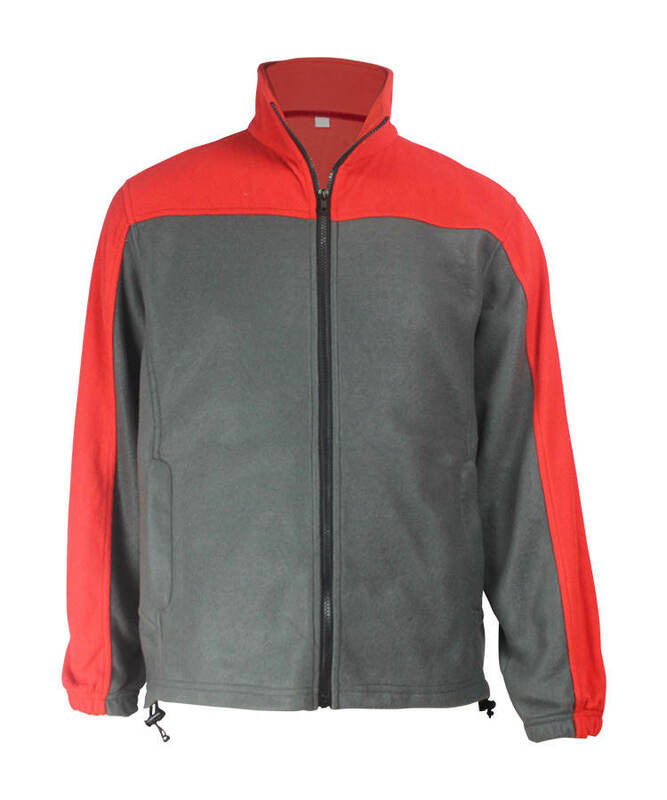 Mesh fabric line, inside left and right breast pocket. Velcro on sleeve, to make cuff adjustable. Lower hem is black fabric, elastic rope inside. Whole garment contrast color, fashionable. Black fabric in the shoulder, left and right side there is 7cm width reflective tape, reflective strips on the seams between shoulder and front or back. Front and back there is two lines of 5cm width reflective tape, left and right there is patch pocket. Sleeve is round two piece sleeve, small sleeve is black fabric, each sleeve there is 5cm width reflective tape, two pleat in the big sleeve elbow, convenient for elbow move. 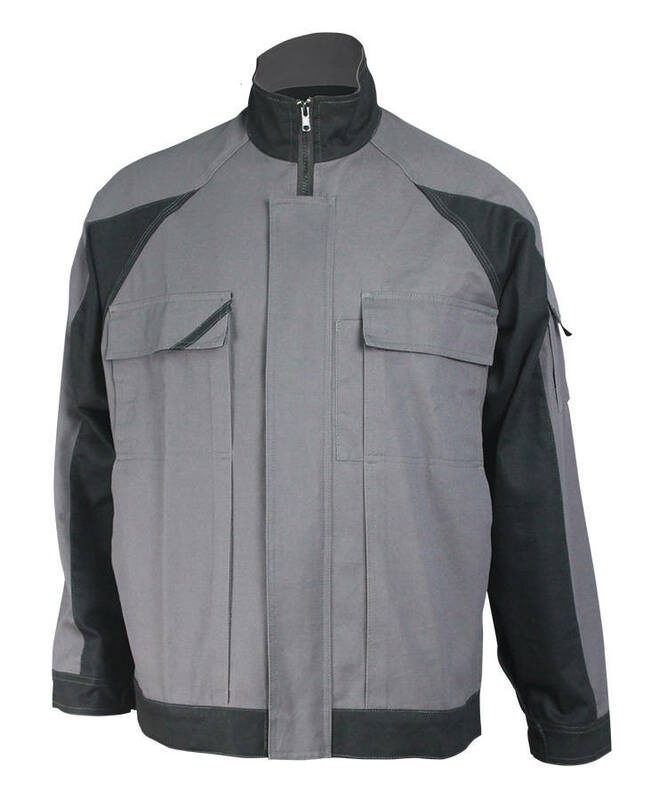 Front zipper closed to the collar, inside there is inner fly to the collar (windproof and keep warm ),and reflexed to front side central collar, used as zipper bank. Bartack on all strength point.